Try some of our very best slow cooker main dish recipes for your next weeknight meal with recipes from our free eCookbook! The editors of AllFreeSlowCookerRecipes have compiled some of our favorite slow cooker recipes for main dishes into this All-Star Slow Cooker Recipes: 9 of Our Best Slow Cooker Main Dishes free eCookbook. Inside, you'll find editors' picks for slow cooker beef main dish recipes, slow cooker chicken main dish recipes, and slow cooker pork main dish recipes. All of these slow cooker main dish recipes are are simple slow cooker recipes for weeknight meals. Main dishes make the meal, and slow cooker main dish recipes are super handy when you’re trying to prepare weeknight meals on a busy schedule. 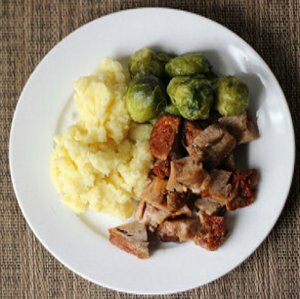 Whether you prefer slow cooker beef main dish recipes, chicken main dish recipes, or even main dish pork recipes, we have a wide variety of simple slow cooker recipes from which to choose on AllFreeSlowCookerRecipes.com. We’ve rounded up some of our best slow cooker main dish recipes into all-star collection with our latest free eCookbook, All-Star Slow Cooker Recipes: 9 of Our Best Slow Cooker Main Dishes. 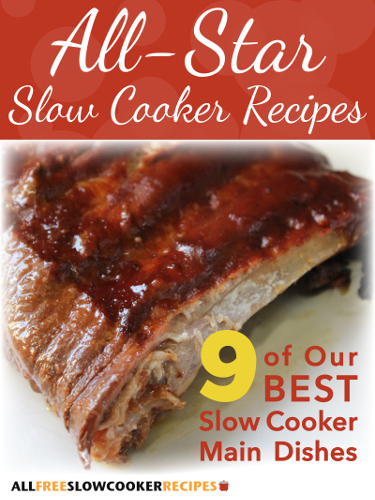 All-Star Slow Cooker Recipes: 9 of Our Best Slow Cooker Main Dishes offers you a wide selection of delicious slow cooker main dish recipes that are simple to prepare. Make extraordinary weeknight meals that will wow your family at dinner time. This eCookbook has something for everyone’s taste and preference. Try your hand at elegant and easy All Day Slow Cooker Swiss Steak (page 7). Or, cook up restaurant-style Chinese orange chicken with our recipe for Slow Cooker Crispy Orange Chicken (page 12). Or, if pork is what your family craves, be sure to sample our recipe for All-Day Fall-Off-The-Bone BBQ Ribs (page 21). Your family will fall in love with these slow cooker main dish all-stars! 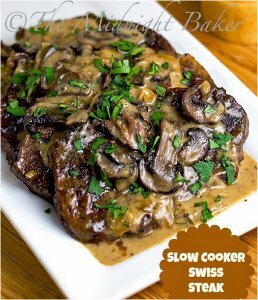 All Day Slow Cooker Swiss Steak (pg. 7) - This is one of those beef main dishes that might look difficult to make, but it's quite simple! This slow cooker Swiss steak recipe is easy enough for a weeknight meal, and elegant enough for company. 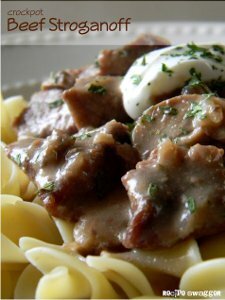 All Day Creamy Beef Stroganoff (pg. 9) - The use of onion soup mix and canned cream of mushroom soup make this classic slow cooker beef stroganoff recipe extra easy. Sour cream makes the sauce extra rich and creamy . Serve your stroganoff over egg noodles for a complete dish. Six Hour Moist Meatloaf (pg. 10) - Slow cooker ground beef recipes are budget-friendly and easy, and this slow cooker meatloaf recipe is no exception. 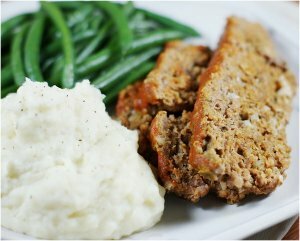 After several hours in your slow cooker, this meatloaf will come out tender, moist, and juicy. This recipe also includes separate instructions for a homemade sauce. 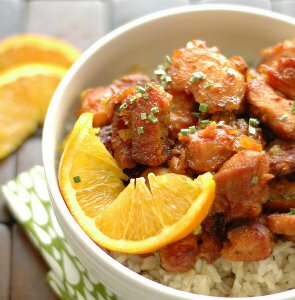 Slow Cooker Crispy Orange Chicken (pg. 12) - If you love restaurant-style Chinese food, this slow cooker Chinese food recipe for orange chicken will satisfy your take-out craving. This is one of those slow cooker main dish recipes that's easy to prepare, because you likely already have many of the needed ingredients in your pantry. 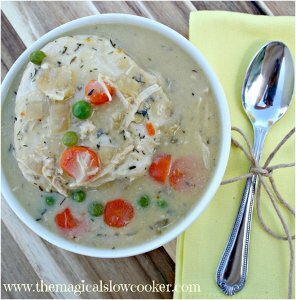 Easy All Day Slow Cooker Chicken and Dumplings (pg. 14) - Among easy chicken main dish recipes, chicken and dumplings recipes are some of our readers' favorites. This slow cooker chicken and dumplings recipe extra creamy, thanks to the use of both cream of chicken soup and cream of celery soup. Canned biscuits are used for the dumplings and add a savory punch. 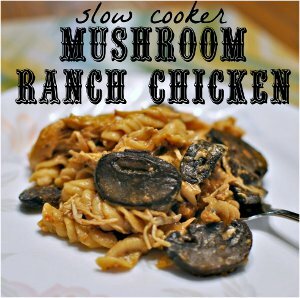 Slow Cooker Mushroom Ranch Chicken (pg. 16) - This slow cooker chicken recipe is one of those chicken main dishes that has a quick prep time, and then you can let it cook all day. Ranch dressing mix gives this chicken recipe its bold ranch flavor. Easy Pork Roast (pg. 18) - If you're in search of easy pork recipes, this slow cooker pork recipe is a great option. Time in your slow cooker will make this pork roast juicy and flavorful. 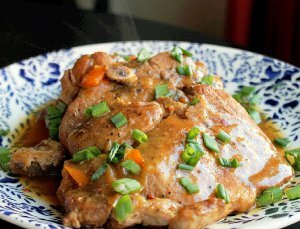 All Day Slow Cooker Smothered Pork Chops (pg. 19) - This is one of those slow cooker pork chop recipes that's sure to become a staple in your weeknight dinner routine. These slow cooker pork chops have a Southern-style kick, which makes them extra flavorful. All-Day Fall-Off-The-Bone BBQ Ribs (pg. 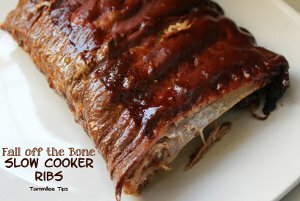 21) - This slow cooker ribs recipe cooks all day to tender, melt-in-your-mouth perfection. Slap on your favorite sauce and enjoy these delicious ribs any time of year. AllFreeSlowCookerRecipes eCookbooks are free, downloadable recipe collections organized around a theme, such as dinner casserole recipes, holiday recipes, vegetable side dish recipes, and more. These eCookbooks are PDF documents that can be downloaded off our website, saved to your computer, and/or printed out for easy reference while cooking. Be sure to check out our Best of the Best in 2014: Our 100 Top Recipes of The Year. 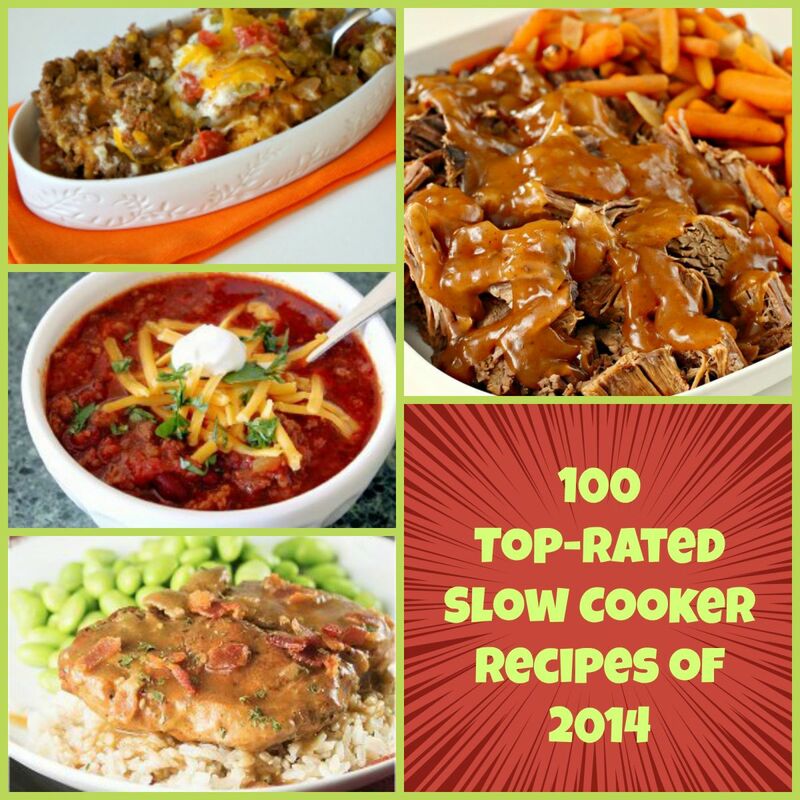 It's filled with all of 2014's best slow cooker recipes from AllFreeSlowCookerRecipes.com. The crispy orange chicken sounds so tasty. I read over the ingredient list and the step by step, and it is really so very easy. I appreciate the tip about using a food storage bag with the cornstarch and chicken chunks, so coat the chicken- in the past I have always dumped my chicken in a bowl and used my hands to swish around the chicken to coat it. I like the "no hands" version much better! Terrific. I just love challenges.